Our game collection is growing and so are the kids! Our son just turned four years old last week and while he has always shown a deep interest in what his sister does - he is especially interested lately when she's playing board games. Our daughter enjoys playing games like Operation or Guess Who, games that he doesn't quite understand how to play yet. He wants to join the the tradition of Friday afternoon board games too! Hasbro has a great selection of games for preschoolers like our little guy. 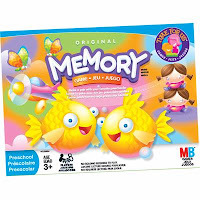 They are games that are simple, they don't have complex rules or a lot of parts - just right for the learning mind of a preschooler and they are of course like any Hasbro game, fun for the whole family. 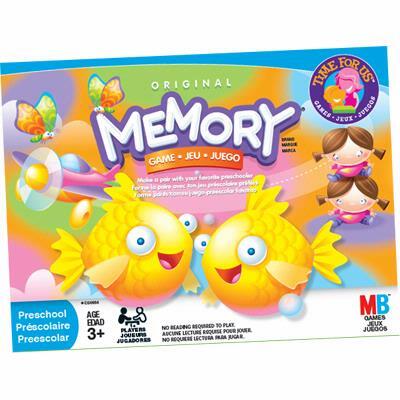 Memory - Play and learning are the perfect match in Memory! Nourish curious minds with this simple, fun game that will have everyone smiling with its vibrant colours, characters and fun! 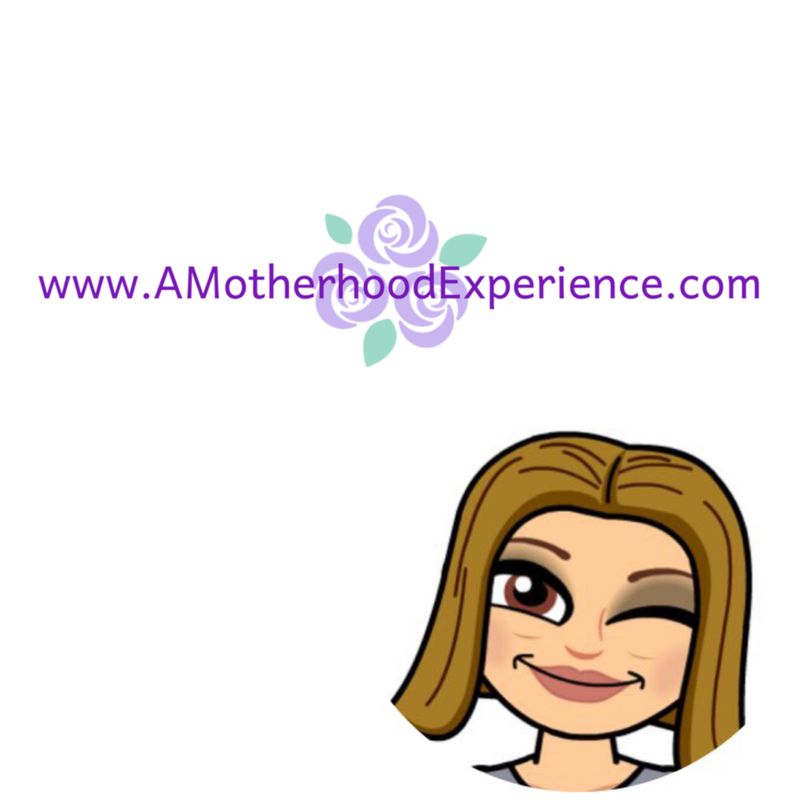 Simple to learn, simple to set up - Memory brings more time to play time! Little guy really enjoys this game, it's definitely one of his favourites! 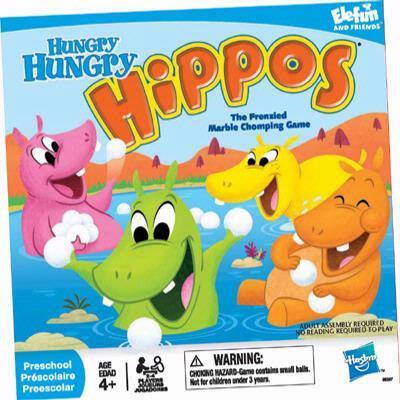 Hungry, Hungry Hippos - Do you have the hungriest hippo? Join Sweetie Potomus, Veggie Potomus, Picky Potomus and Bottomless Potomus down at the riverbank for some feasting fun! Whoever gobbles up the most marbles, wins! Another simple set up, simple concept game for everyone to enjoy. This is a game that requires monitoring as it contains small parts and is not recommended for kids under the age of 3. 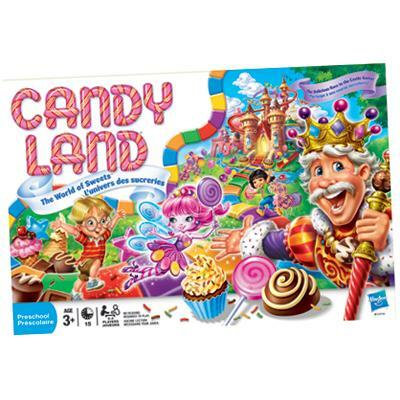 Candy Land: Candy Land is a wonderful game to introduce as a first game for your child. It is a way for a preschooler to really experience the joy of game play and its suitable for the entire family. This game teaches colour recognition and matching while also reminding little ones how to play fair, take turns and be a gracious winner or loser. 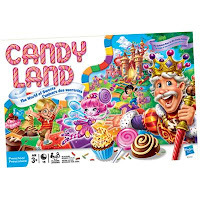 Never a game of Candy Land played without a smile on everyones faces. Chutes and Ladders: For over 60 years families have enjoyed the good old fashioned fun in Chutes and Ladders, the traditional climbing and sliding game. Take turns rolling the dice and climbing your way up the board, watch out for those tricky chutes that can slide you all the way back to the start! First one to the end of the board wins! This game teaches colour recognition, counting while having fun! 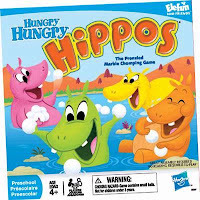 Out of these games, little guy favoured Memory when playing independently and Hungry Hungry Hippos with his big sister. He's actually really good at getting his hippo to gobble up those marbles. 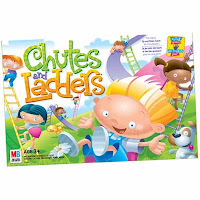 Candy Land and Chutes and Ladders brought back some fond memories. When I was growing up we always had board games in our house, we always played them whether it be as a family or just me and my brother having a game. It's nice to have a chance to introduce some well loved games to our kids and keep the tradition going today. Check out more great game titles and toys at www.Hasbro.ca! Disclosure: Posted by AME on behalf of Hasbro Canada. We received mentioned product for review purposes. Opinions and comments are those of AME. Our favourite (me & 4 siblings) was Monopoly and it would go for days! My girls now love Candy Land & Hi Ho Cheerio.